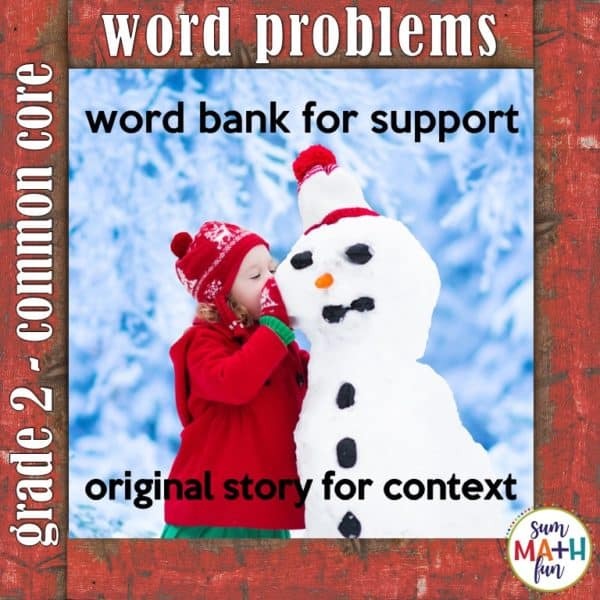 Common Core – Print and Go! 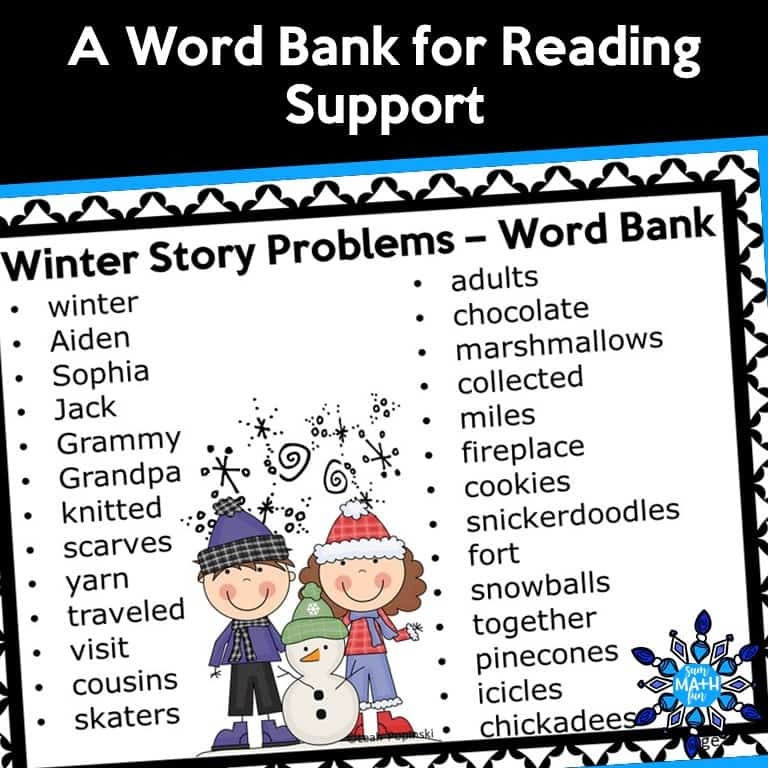 These winter word problems have a fabulous format that requires students to use equations, visual representations, and words in a graphic organizer format. Kids often find it hard to understand word problems, so when you provide them with a graphic organizer, you help them make sense of a problem instead of relying on tricks and keywords. Great for independent practice, homework, math centers, or for small group RTI work. 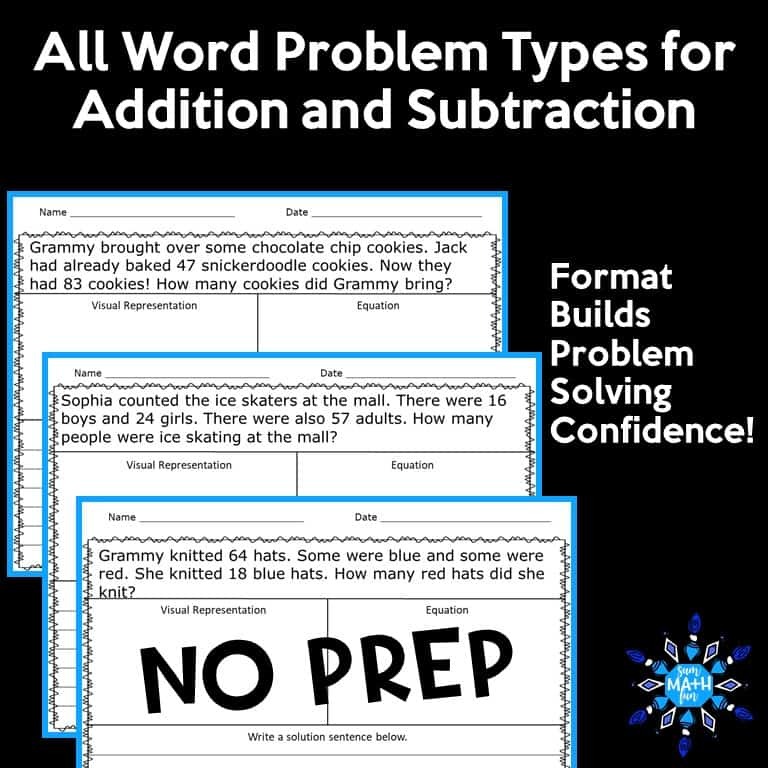 By providing your students with the right tools, you make word problem practice fun and engaging while building skills and being rigorous! These word problems use 2-digit and 3-digit addition and subtraction with and without regrouping. 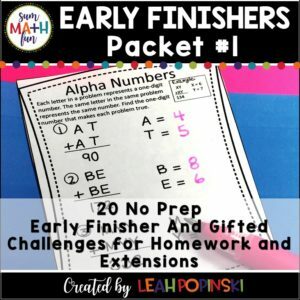 They are perfect for independent practice, homework, math centers, or for small group RtI work. They practice depth and complexity at this skill level. Three of the word problems may be solved using beginning multiplication and division. *20 Word Problems – one problem per page with space for Visual Representation, Equation, and a Solution Sentence for each. *Blank Formatted Page – to write targeted problems for struggling students. 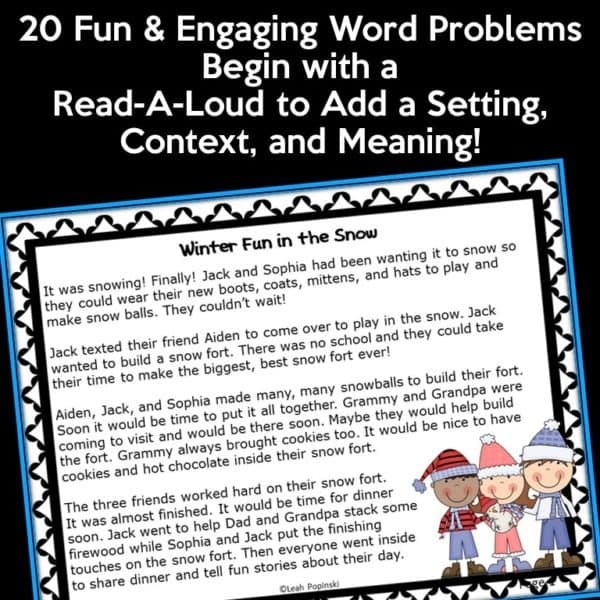 • Each problem requires students to use visual representations, equations, and words in a graphic organizer format. • Students have to make sense of a problem, instead of using tricks and keywords.